Black, white, mint or tisane, no matter what kind of tea you prefer, they are packed with flavonoids and have health altering benefits. And that’s probably the reason why black tea is the most widely consumed beverage in the world, second only to water. Everyone knows that drinking tea is good for health. But what makes tea, the best health drink ever? The answer lies in tea’s very high antioxidant content that offers a variety of health benefits. Tea leaves are rich in polyphenols (which are potent antioxidants) along with phytochemicals that help to counteract inflammation, inhibit irregular cell growth, and fight against free radicals to slow down ageing. This is why your grandma always offered you a hot cup of tea irrespective of whether you had the flu, battling an upset tummy, or were just generally feeling under the weather. Truly, there’s more to tea than what meets the eye! 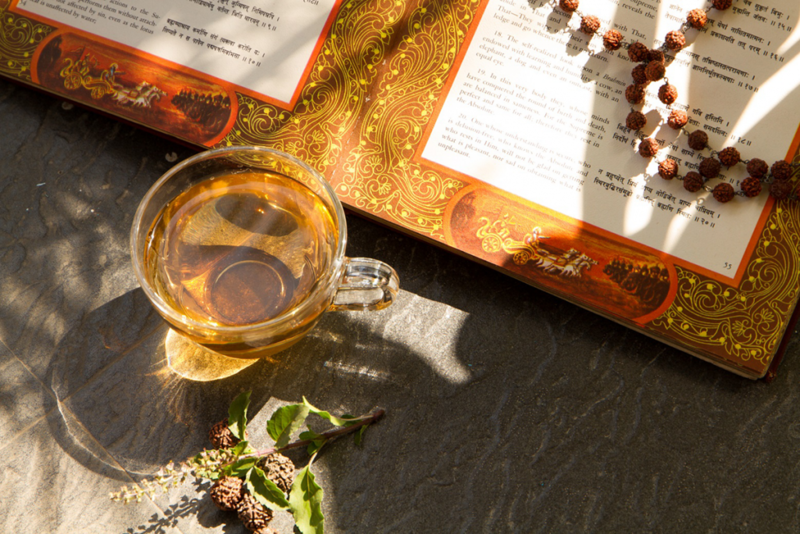 For thousands of years, ancient Oriental wisdom has regarded tea as an elixir for good health. It has been used extensively in both Chinese medicine and Indian Ayurveda for centuries. In the 1960s, researchers started to focus on systematic scientific studies to prove tea’s potency as a health drink. Today, tea is recognized by modern medicine as a potent antioxidant and is indispensable to the health care industry. Real tea is derived from Camellia Sinensis plant and comes in four varieties – green, black, oolong and white. All other fruity teas and known as tisanes (tea-ZAHNS), like the popular ginger tea, chamomile tea and fennel tea. Tea contains antioxidants known as flavonoids, which are known for boosting heart health. 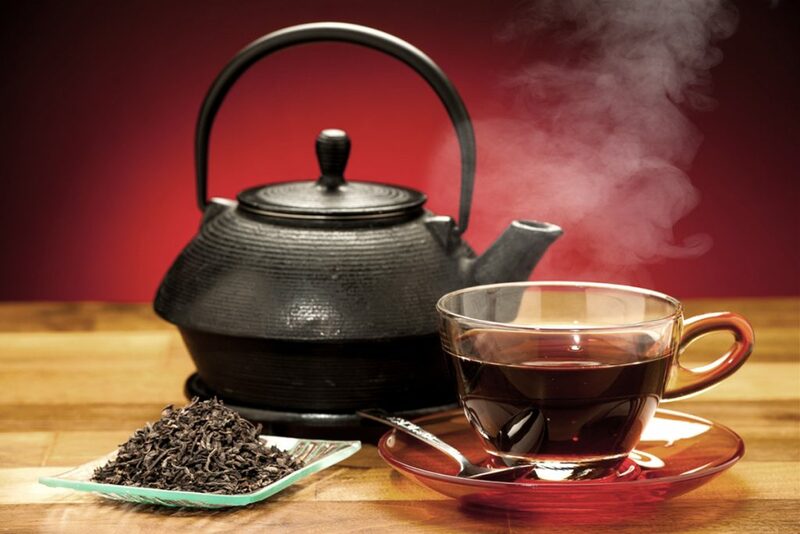 Research has found that when black tea is consumed as a part of a normal diet, it decreases independent cardiovascular risk factors and improves overall antioxidant status. Drinking tea every day can lead to decreased triglyceride values, reduced blood sugar levels and lowered LDL/HDL plasma ratio. Medical studies reveal that tea can be used as a preventative drink to wage a battle against cancer. The polyphenols found in black and green teas can cause proliferation of the cancer cells, delaying abnormal cell growth to some extent. If you can’t seem to get through a work-day without your daily fix of caffeine, tea can be a healthier alternative to colas and coffees. Green tea has 1/5th the caffeine content of coffee, while black tea has 1/3rd the caffeine content of coffee. What’s better – a cup of tea fits perfectly into your balanced, healthy lifestyle! Try a cup of Spice Carnival – an exotic and aromatic blend of Indian spices with black tea that guaranteed to refresh and rejuvenate you. Besides being a delicious beverage, tea is also packed with a variety of dietary nutrients that can benefit your overall health. It’s rich in Vitamin A, Vitamin B2, Folic Acid (B9), Vitamin C, Vitamin D, and Vitamin E; along with trace elements of minerals like manganese, magnesium, potassium, iron and calcium. If you aren’t keen on taking dietary supplements, two cups of tea a day can be just the holistic and all natural alternative for you. Tea blends with essential oils make for a perfect recipe to beat stress, promote sound sleep and uplift your mood. Earl Grey tea with bergamot oil is one such perfect example. 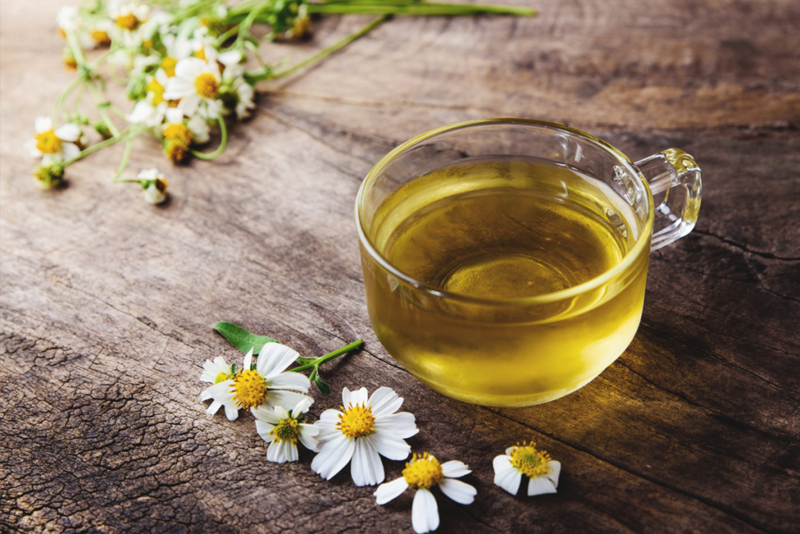 Mint tea can calm your mind, while chamomile tea is a holistic stress buster. Besides improving mental health on a day to basis, tea is also beneficial for helping prevent serious condition as well. For example, the classic green tea may also help avert and soothe neurological diseases like Alzheimer’s. Looking for a quick pick-me-up? Try our Lemon Cake tea at the end of a tiresome day to feel relaxed and re–energised. Whether you are diabetic or suffering from insulin resistance, a cup of green tea can help improve blood sugar regulation. Catechins in tea improve insulin function, protecting your body against insulin spike. 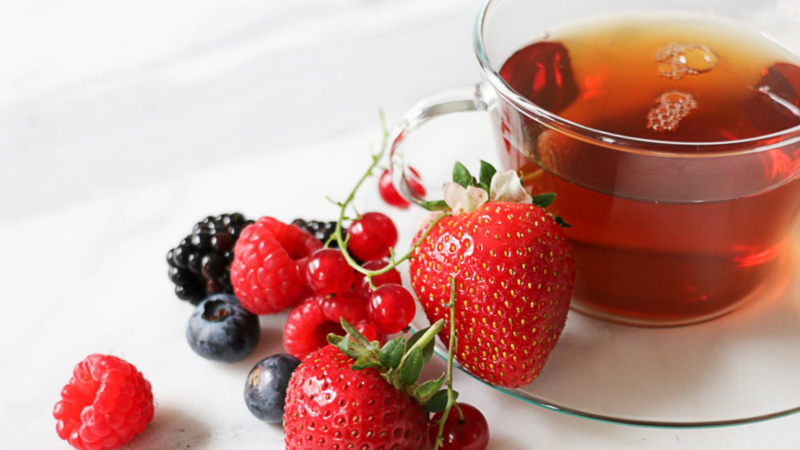 We highly recommend this Berries Burst tea for those who love a fruity green tea infusion.But if your taste buds desire sweet tea without the calories, then our Tisane Collection will please and delight you. Just the right amount sweetness mingled with the freshness of natural flavours, this range is a pure liquid joy. The Tiramisu Delight tea is low on caffeine and calories but deliciously high on flavour and satisfaction. 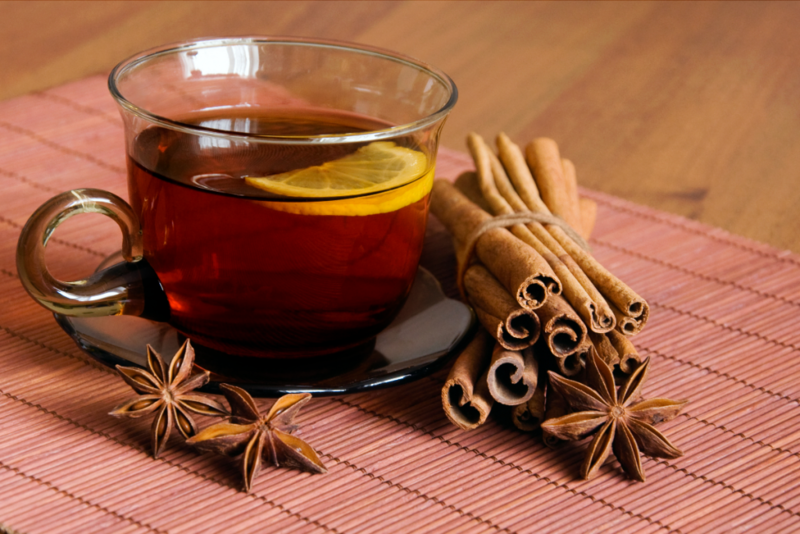 Just like your favourite sweater, a good cup of tea can envelop you in a sense of ease and comfort. And even independent of all these health benefits, relaxing with a cup of tea at the end of a long day can bring about a sense of well-being and calmness that is truly unmatched. Besides being so good for health, a cup of tea is also easy to make. To brew the perfect cup, start with boiling water. If you’re using tea bags, add one to your cup, and then pour in the water. Allow it to steep for 3-5 min. If you’re using loose leaf tea, use 2.5gm for every 220ml of water. Put the leaves in a strainer, and allow them to steep in the hot water for 2 to 5 minutes. Depending on your taste buds, you can make a stronger cup of tea by adding more leaves or you can steep the leaves for a couple of extra minutes. Once steeped, remove the tea bag or loose leaves from the water and enjoy a perfect cup.